Replacement washer used under bolt bushing for tuning machine installation. Available in black, chrome, or gold. 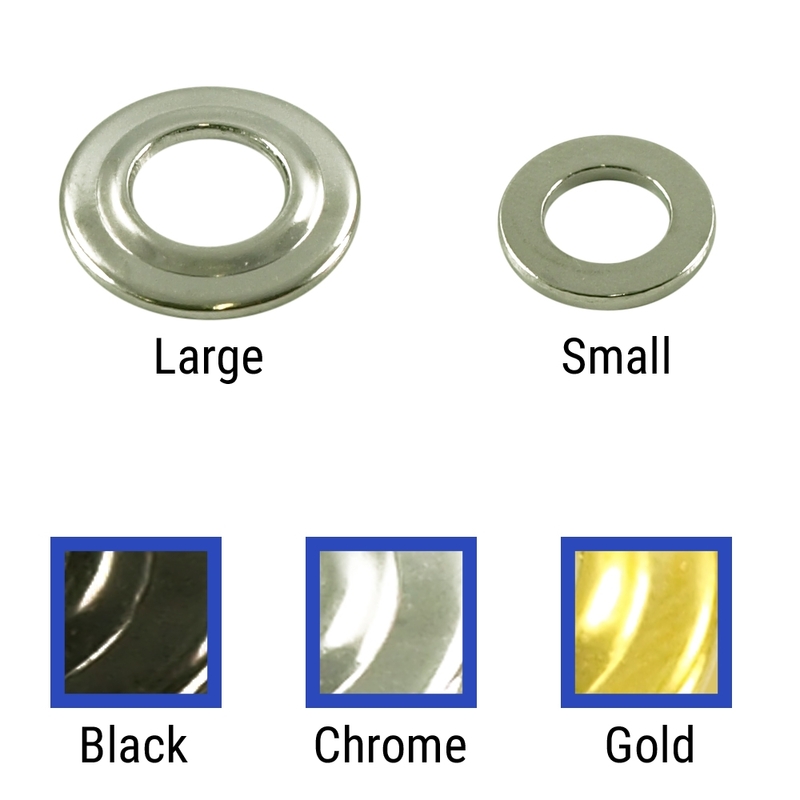 Large washers typically used for 3 per side machines, small washers for 6 in line machines.